Every once in a while a math problem takes the world by storm … at least the world of nerds. 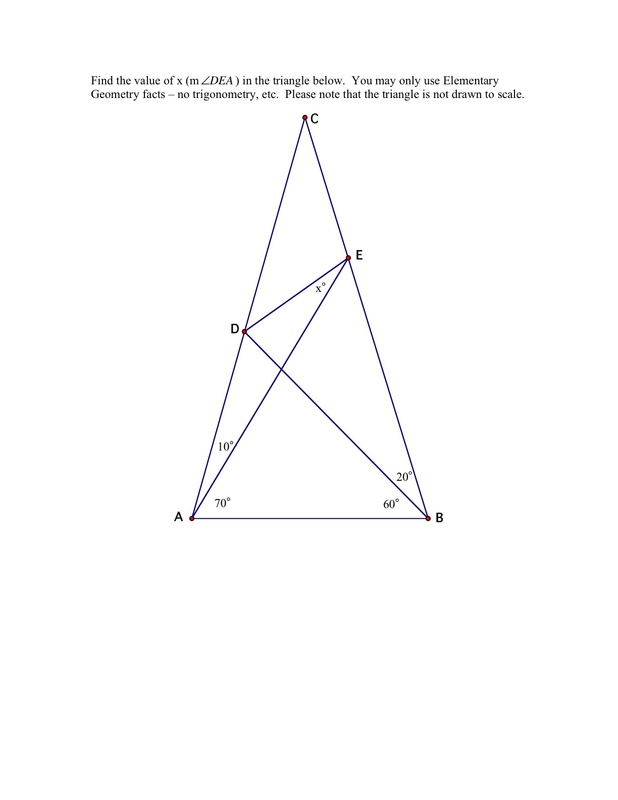 About five years ago, the “World’s Hardest Easy Geometry Problem” hit the internet. Not that this problem was new or unique. After all, it has been around for hundreds of years. However, with the speed and ease of communication of the internet, the problem spread like wildfire. In fact, according to rumors, the problem was so addictive that the whiteboards in the offices of Google were filled with attempted solutions. As the story goes, one employee said that the problem probably cost Google about a quarter of a million dollars in lost time. Anyone who loves math knows how rare it is for mainstream society to be exposed to mathematics of any kind. However, yesterday, Google exposed tens of millions of people to one of the most famous mathematicians of all time, Pierre Fermat. To honor his 4o1st birthday on August 17, Google created the Doodle seen above. What is the Doodle about? Well, written on the chalkboard is what is known as Fermat’s Last Theorem. Simply put, the theorem states that the equation has no integer solutions for n>2 and x,y,z ≠ 0. For the next three centuries, legendary mathematicians tried hopelessly to recreate the proof that Fermat claimed he had discovered. Finally, in 1993, the mathematician Andrew Wiles (with a little help from others to fill in some gaps) found a proof. Beyond putting the mystery to rest, Wiles put to rest the idea that Fermat ever had a legitimate proof of the theorem as the mathematics he used had only been developed in the 20th century. So, if Fermat never left a proof, then why call it a theorem? Any high school geometry student will tell you that a theorem requires a proof. It all has to do with the fame of the person making the claim. Fermat was about as famous as any mathematician could be and was, therefore, given the benefit of the doubt. Unfortunately, for us mere mortals it would have been called a conjecture and, more importantly, lost to the sands of time.